Despite its frequent appearance in our everyday speech, indirectness is not something many people pause to consider. Why do people “beat around the bush”? “Downsize” instead of “terminate?” “Pass away” instead of “die?” What prompts people to say one thing, when both parties in the conversation know that there is another meaning? 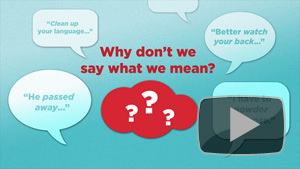 Harvard College Professor and Johnstone Family Professor of Psychology, Steven Pinker, explains the phenomenon of indirect speech in this entertaining discussion that’s part of the UC Berkeley Graduate Council Lectures series. Pinker is a world renowned writer on language, mind, and human nature. His work on the psychology of language has won numerous awards and is recognized in many national science and psychological societies. Check out what he has to say about the paradoxical appeal of euphemism, innuendo, politeness, and other forms of shilly-shallying, in The Elephant in the Room: The Psychology of Innuendo and Euphemism. 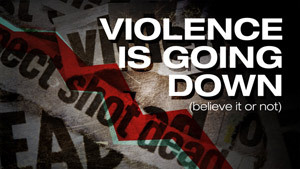 Violence has been in decline for long stretches of time, and we may be living in the most peaceful era in our species existence. Steven Pinker explains the trends by showing how changing historical circumstances have engaged different components of human nature. 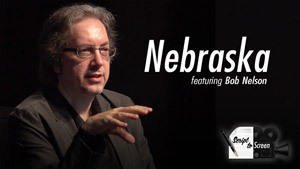 The film “Nebraska“ received 6 Oscar nominations, including Best Picture and Best Original Screenplay. The Carsey Wolf Center at UCSB welcomes Bob Nelson who landed the Academy Award nomination for his first screenplay. 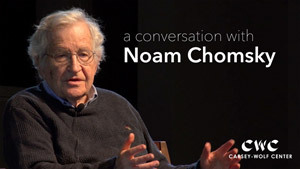 Jan Nederveen Pieterse in conversation with Noam Chomsky, linguist, philosopher and political commentator. Chomsky is Emeritus professor of linguistics at MIT. 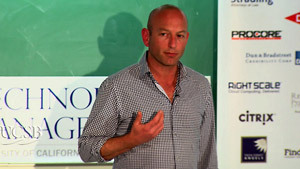 Jan Nederveen Pieterse is professor of Global Studies and Sociology at University of California, Santa Barbara. 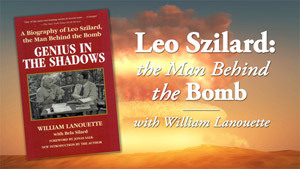 William Lanouette, author of “Genius in the Shadows: A Biography of Leo Szilard, ” explains how Szilard’s fear of German dominance of nuclear research inspired the Manhattan Project, which led to the creation of the atomic bomb used by the United States in World War II. 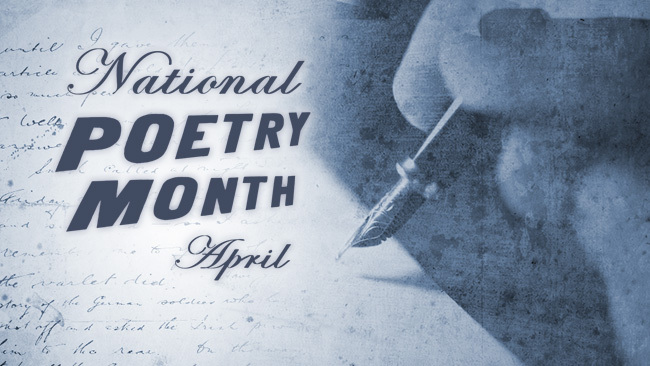 Celebrate the artful arrangement of words all month long by browsing our extensive online collection of poetry. From new poets to world-renowned authors, you’ll find poetry discussions, author interviews and poetry readings. 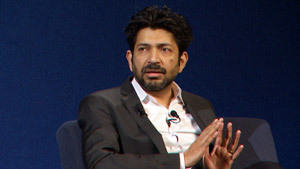 Pulitzer-prize winning author and oncologist Siddhartha Mukherjee explains how he sees cancer as a lens in which to view society and calls on the cancer community to demand more support for cancer therapies, treatments and prevention. 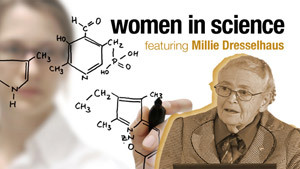 UCTV’s Women in Science kicks off the month of April by celebrating an influential woman in the scientific field, MIT Professor Mildred Dresselhaus. A pioneer in Nanoscience, Dresselhaus is one of the first scientists to open the door to using carbon based materials on a nanoscale. Some of her notable contributions paved the way for modern day carbon nanotubes and nanoscale thermoelectricity. Dresselhaus’ current career has focused on advancing science and engineering in its more basic aspects, as well as advancing energy sustainability. In a recent talk at UC Santa Barbara, Dresselhaus discusses the world energy outlook and sustainability, nanostructures and recent advances in thermoelectrics. “The take-home message here, is that it’s not a bad idea to try to make the world a better place, when called upon to do so,” Dresselhaus mused. To watch Dresselhaus and more notable women in science, visit our Women in Science page at UCTV. You can also subscribe to our Women in Science feed, available on iTunes. Join Josh Jacobs as he discusses his entrepreneurial journey. Josh began his career as a software engineer, leading development teams. As Global CEO of Accuen Media, Josh is responsible for planning and executing the strategy for Omnicom’s programmatic media buying business. Cure Cancer Through Genomics & Proteomics? 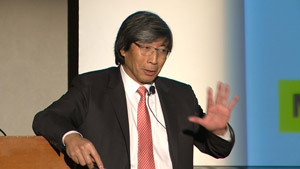 Dr. Patrick Soon-Shiong, founder of Nantworks, describes his vision for turning cancer into a chronic but controllable disease by using advanced rapid gene sequencing, supercomputing and other methods of analysis to transcend the genome to the proteome. Millie Dresselhaus looks at how energy demands of future generations will be met and argues that a diversity of energy sources are required, some that are still being invented.